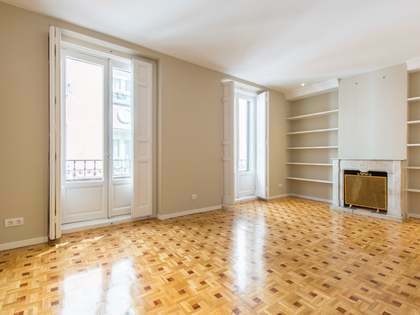 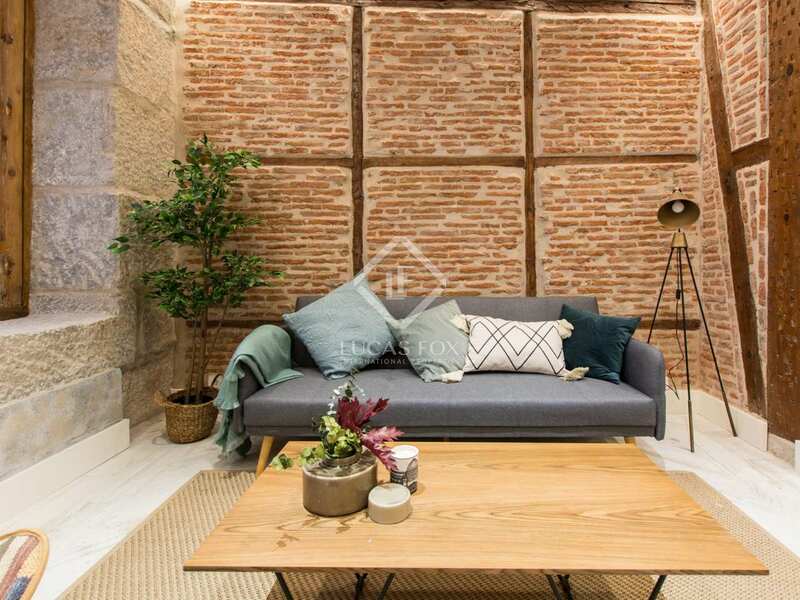 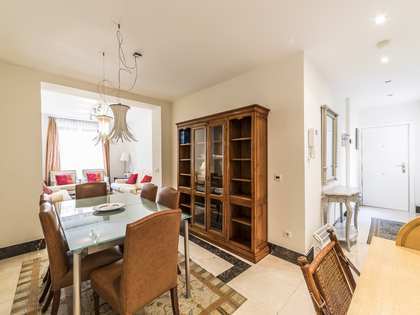 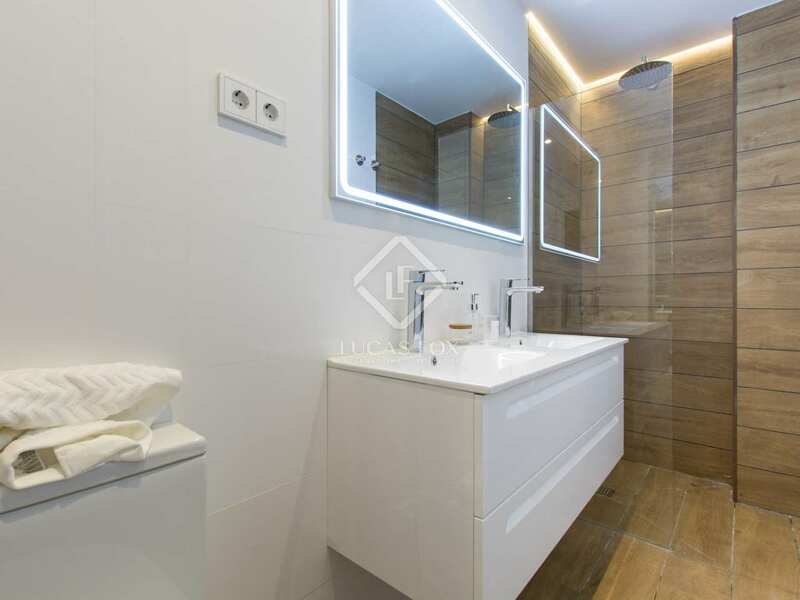 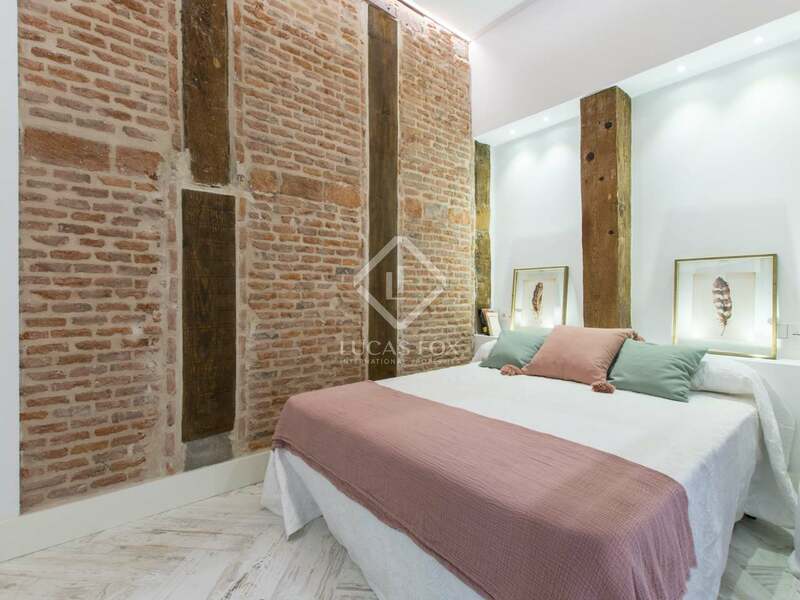 This lovely apartment, ready to move into, is located in the multicultural neighbourhood of Lavapiés. 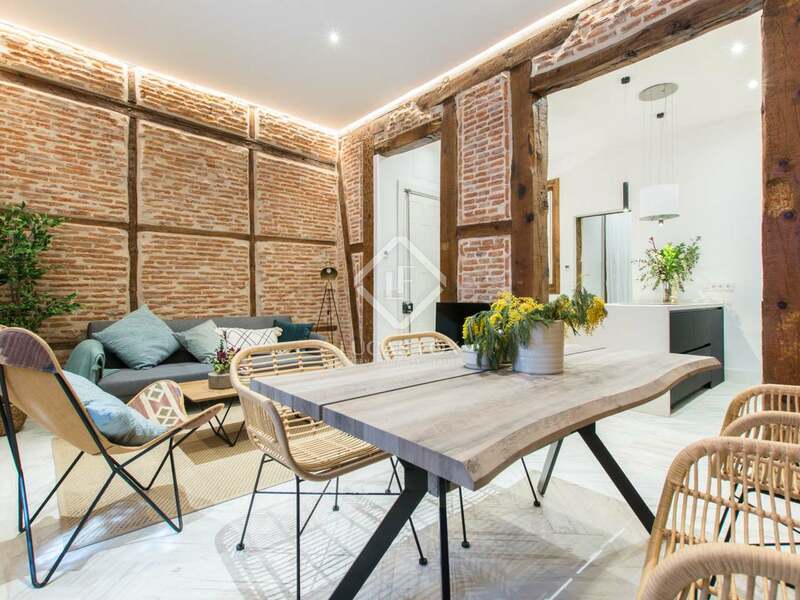 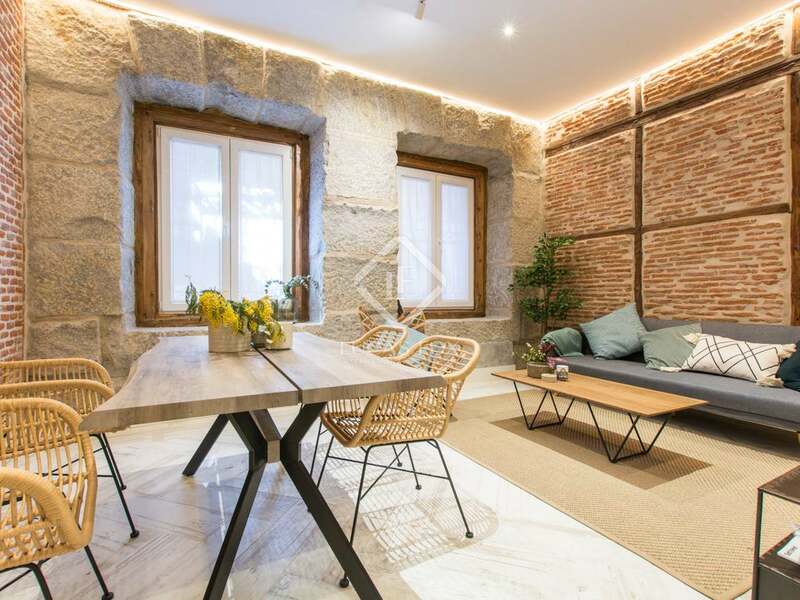 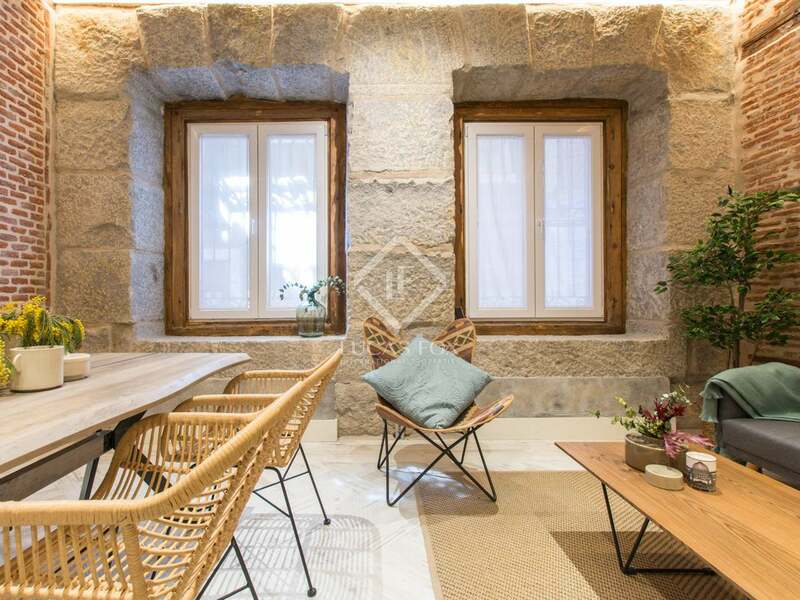 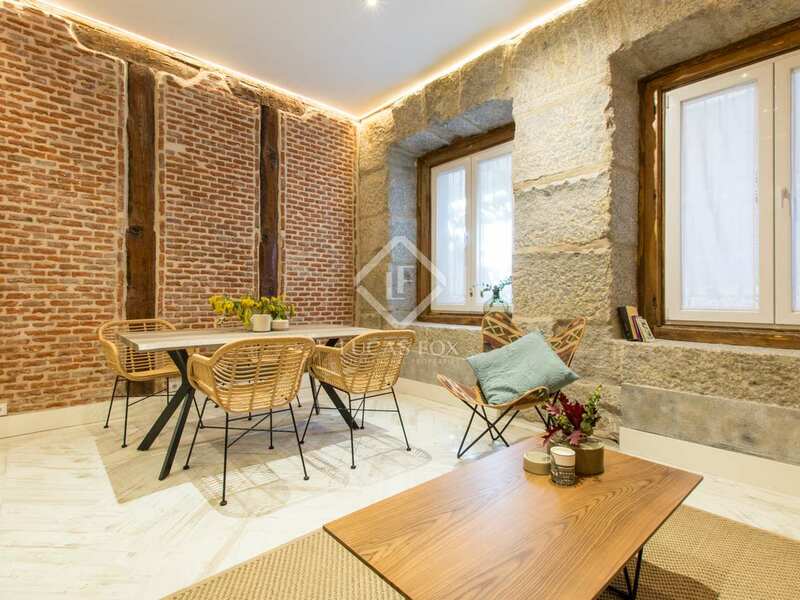 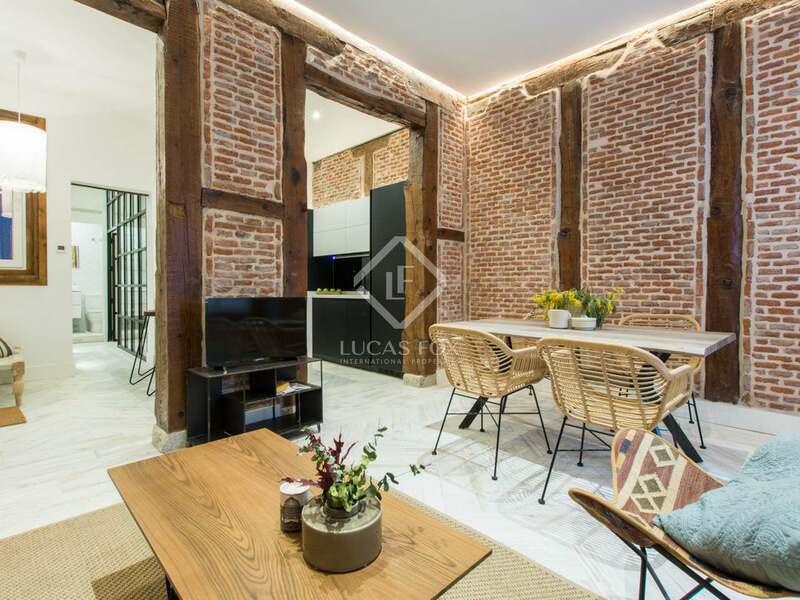 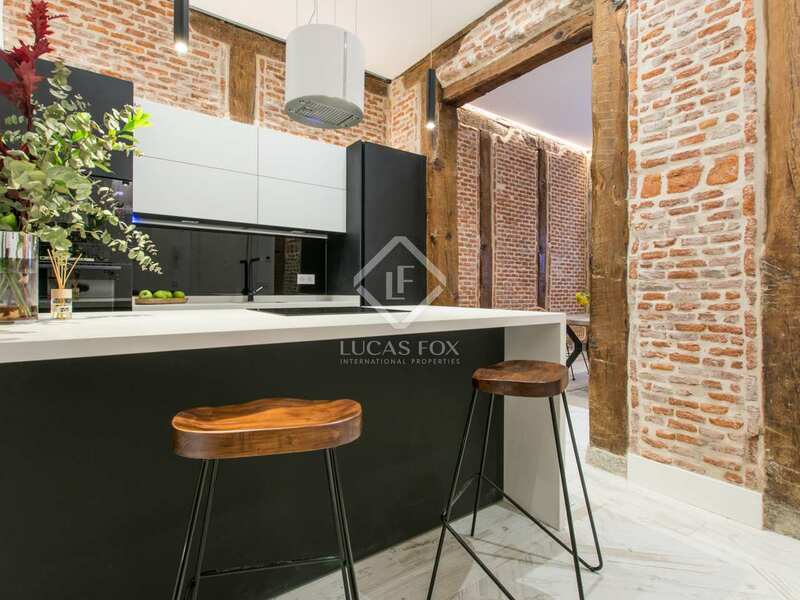 The property is presented newly renovated and fully equipped, exposed wooden beams and brickwork adding a touch of charm. 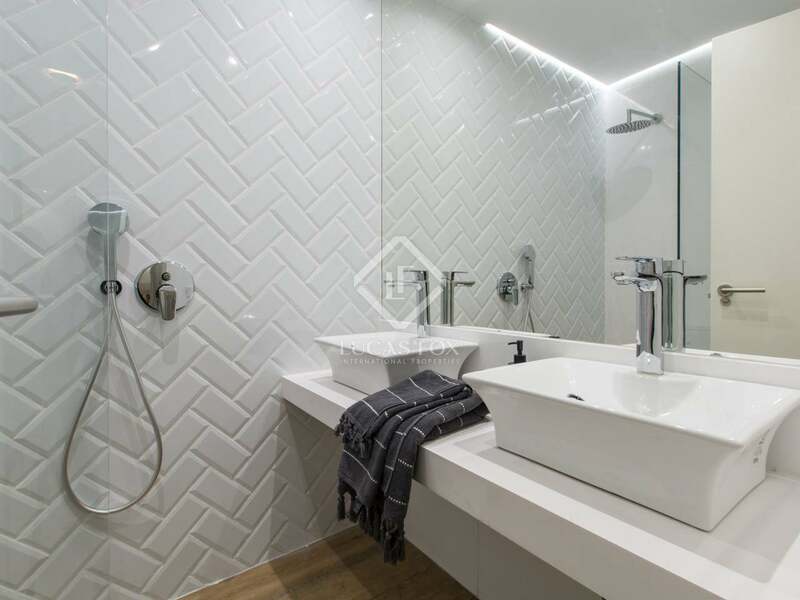 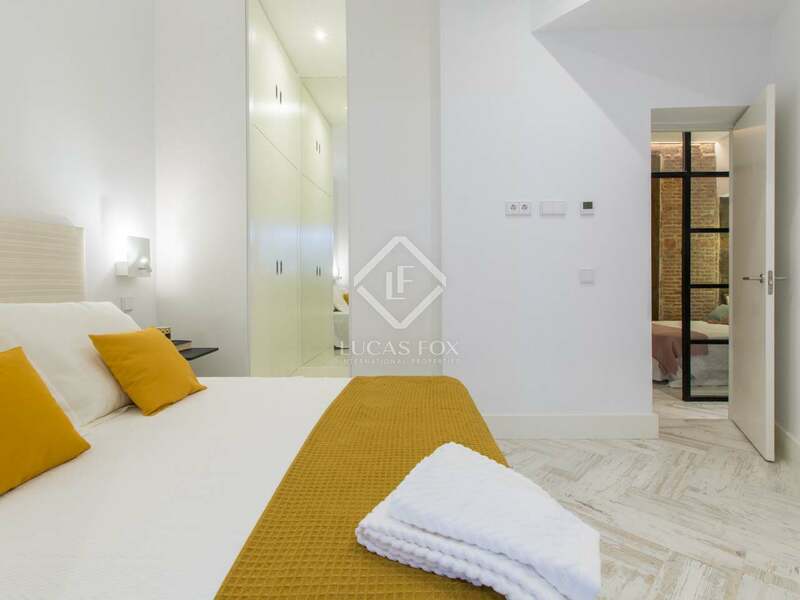 Such features have been combined with state-of-the-art finishes and materials including underfloor heating and a modern ceiling lighting system. 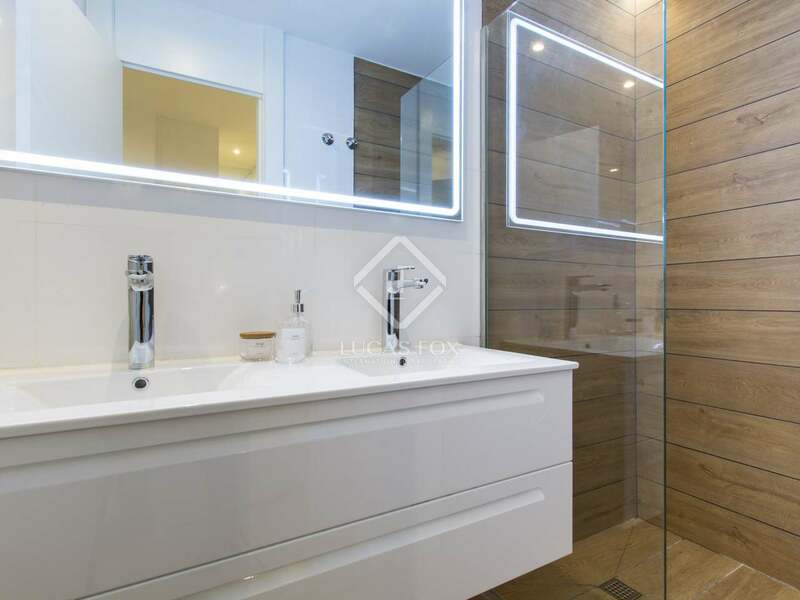 In addition, all cabinets have light sensors and the bathrooms have mirrors with lighting. 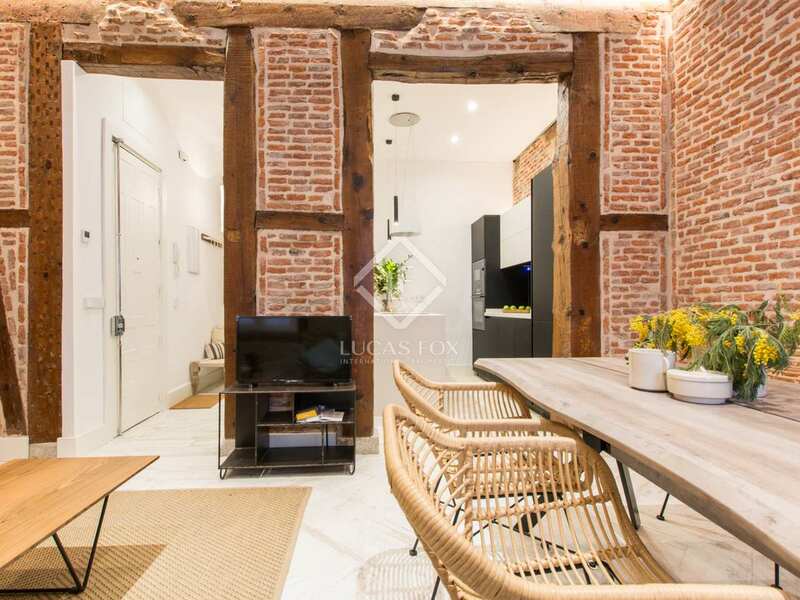 The apartment consists of a living room with exposed wooden beams separated from the kitchen by an attractive column. 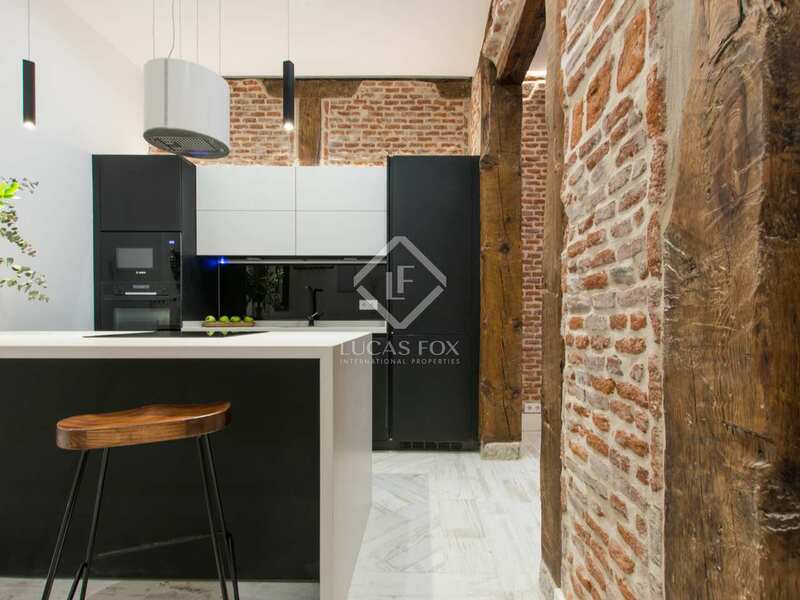 The semi-open kitchen is equipped with new appliances all of which are panelled for greater visual harmony. 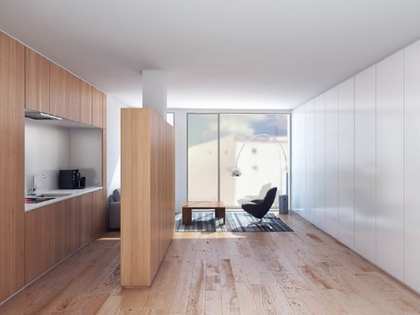 Among other details, it is worth highlighting the Pando wooden flooring throughout. 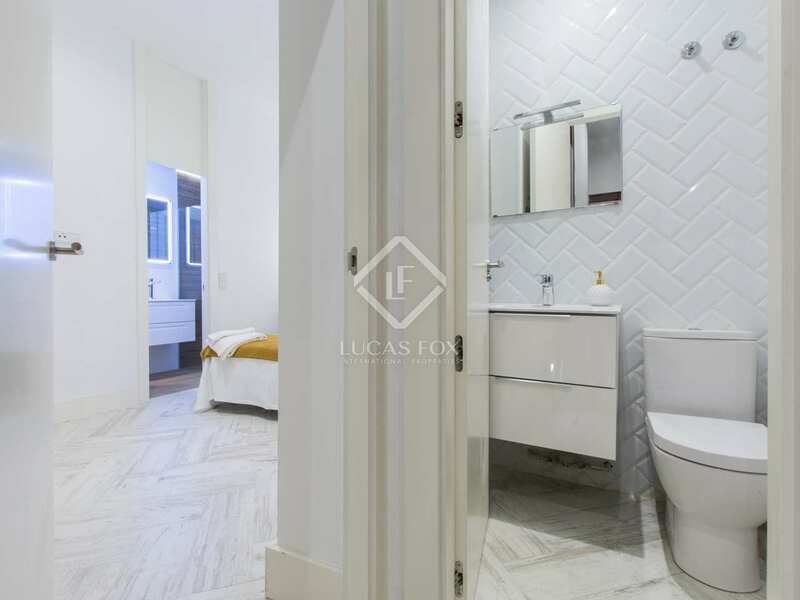 To the rear of the apartment we find the night area composed of two bedrooms with en-suite bathrooms and small dressing rooms. 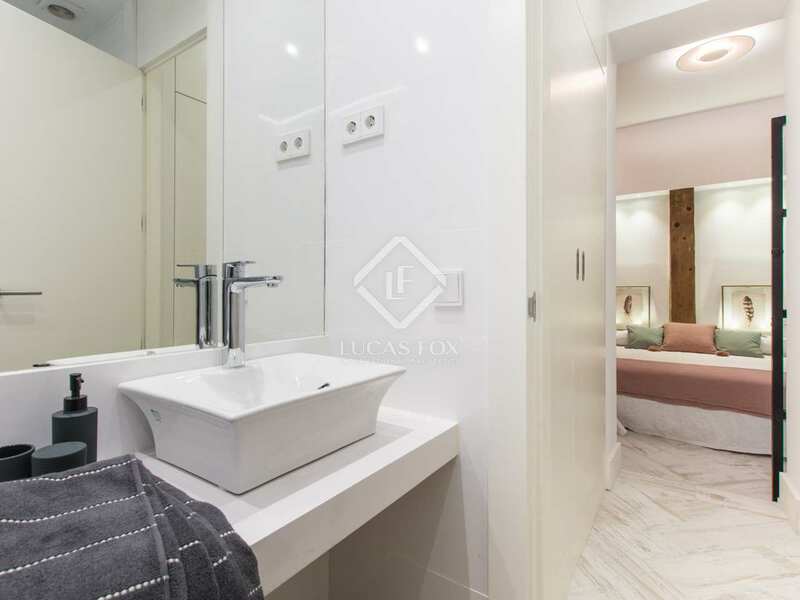 A guest toilet completes this beautiful apartment. 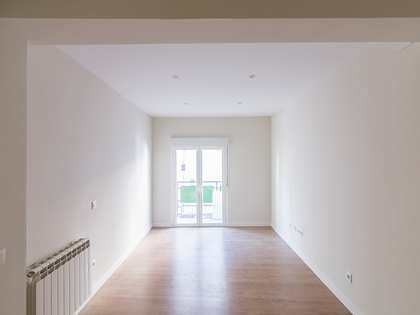 An unbeatable opportunity for those seeking a brand new apartment of the highest quality in Lavapiés. 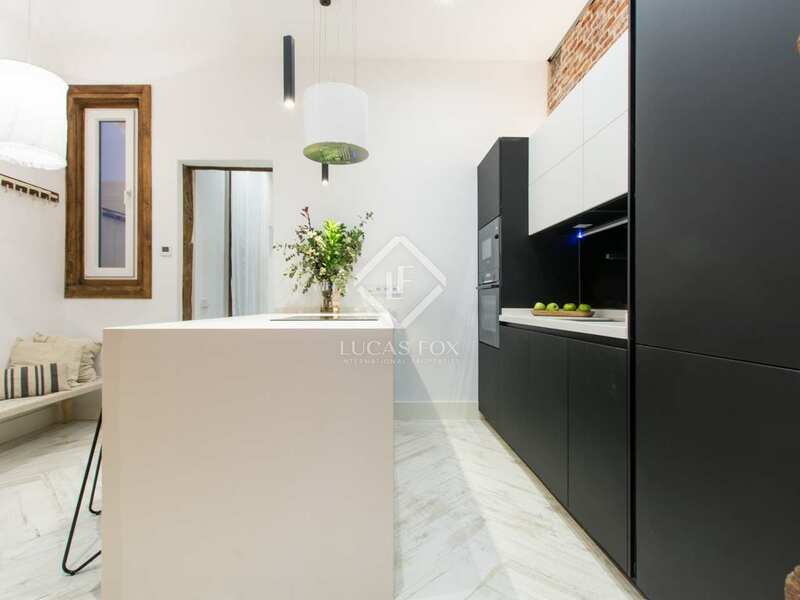 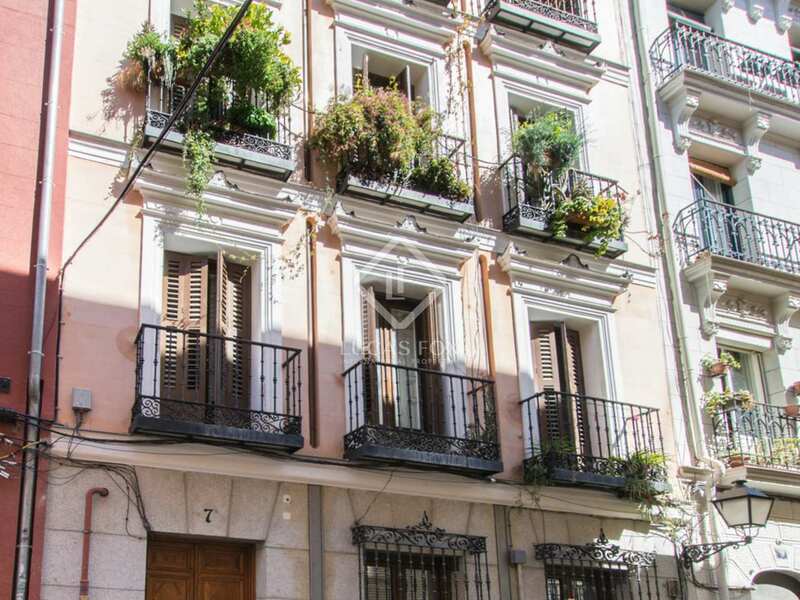 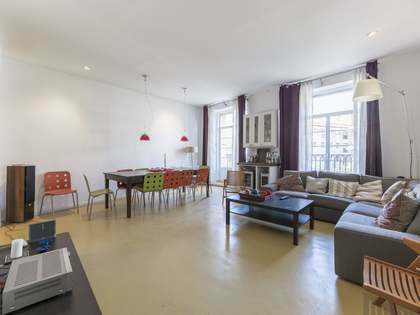 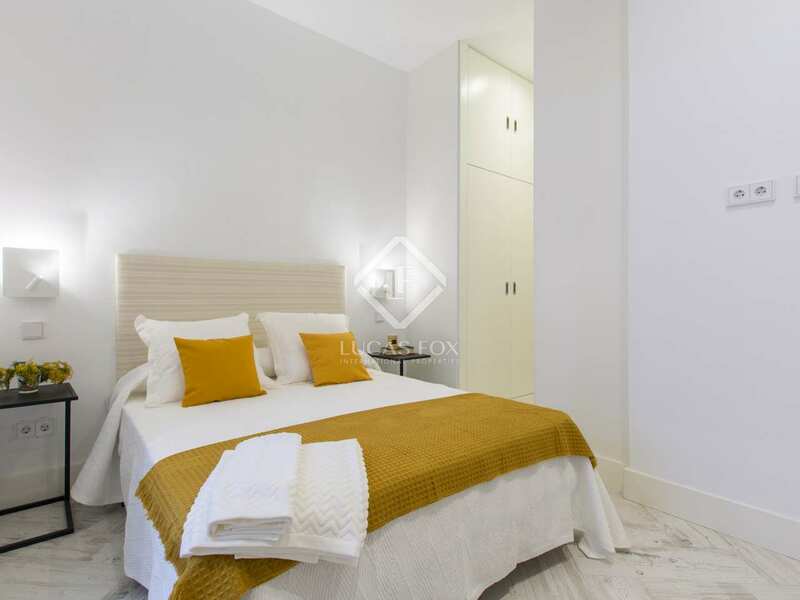 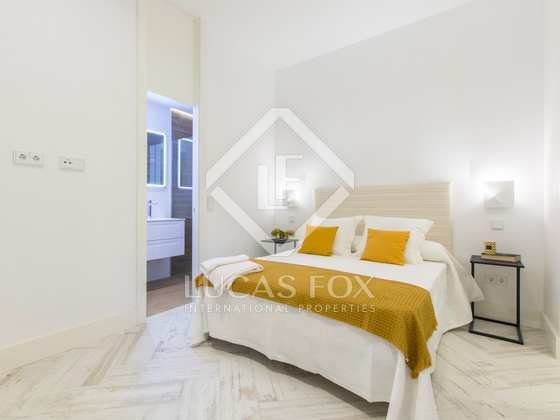 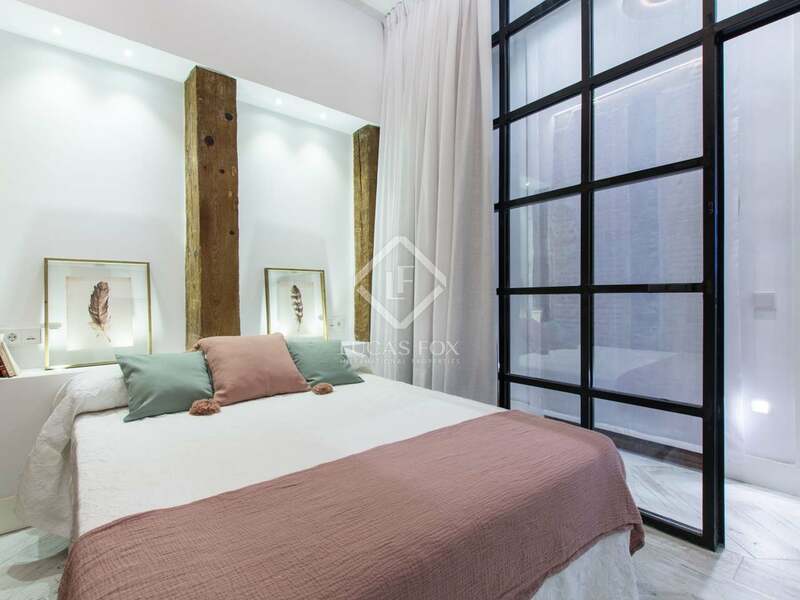 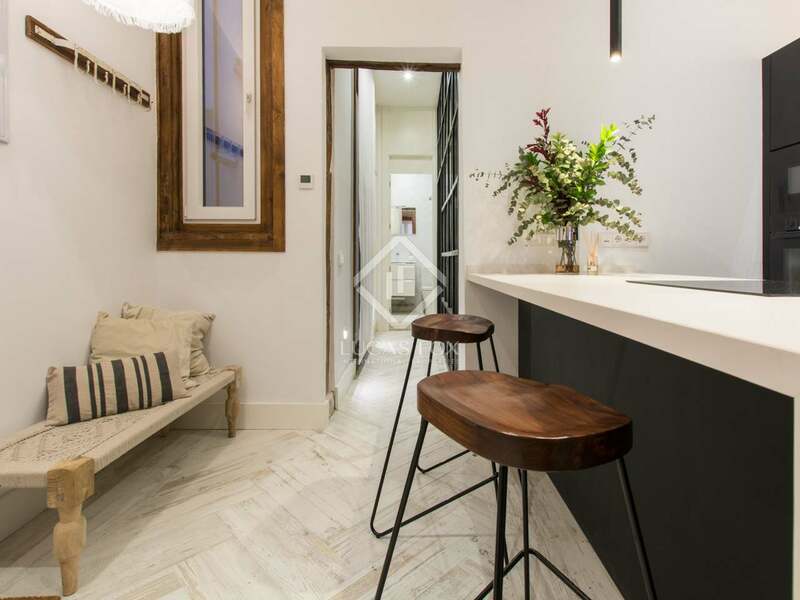 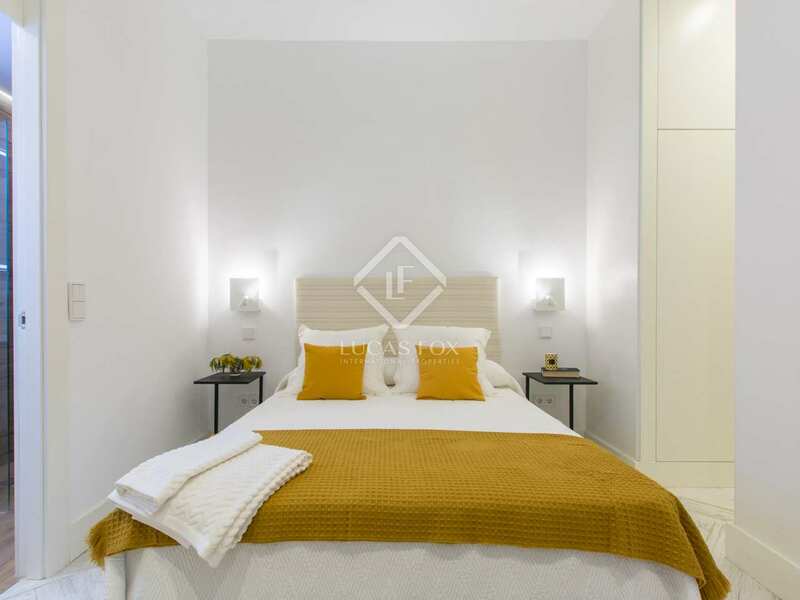 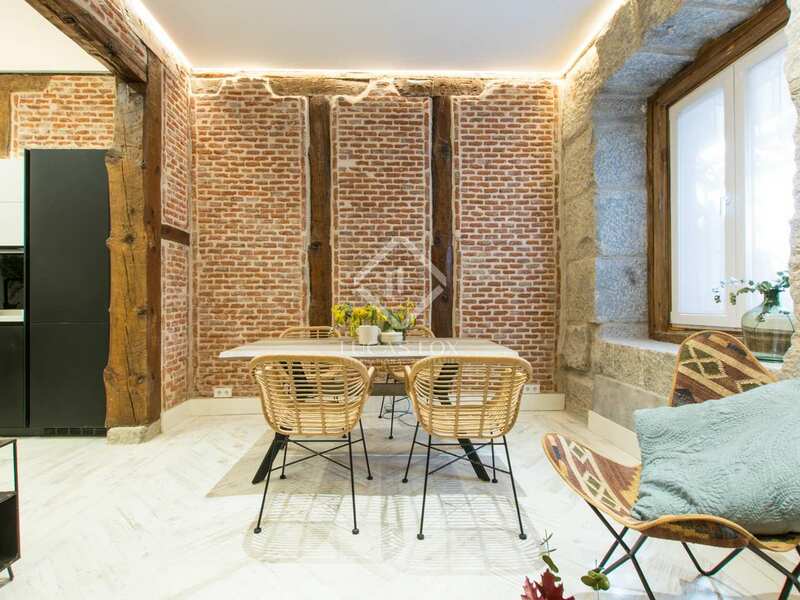 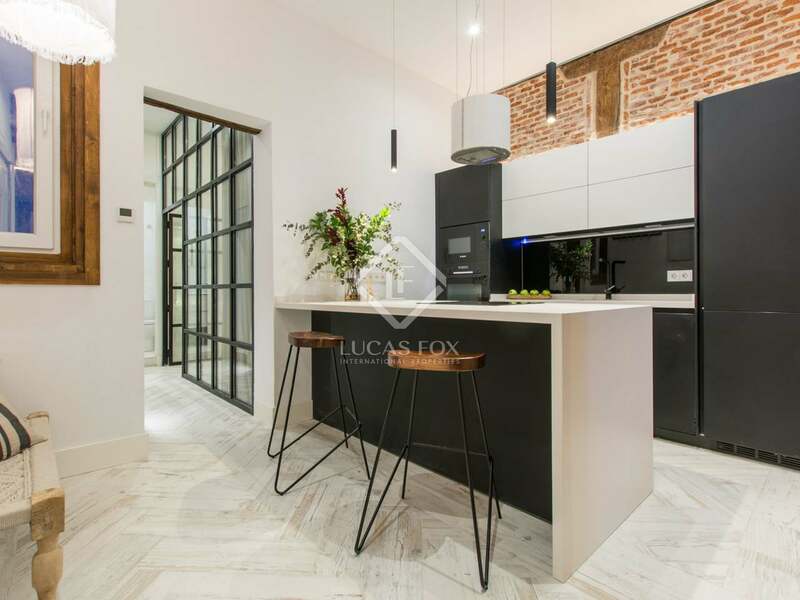 Apartment located in the multicultural neighbourhood of Lavapiés, in a quiet pedestrianised street. 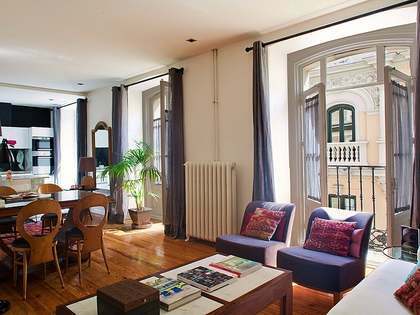 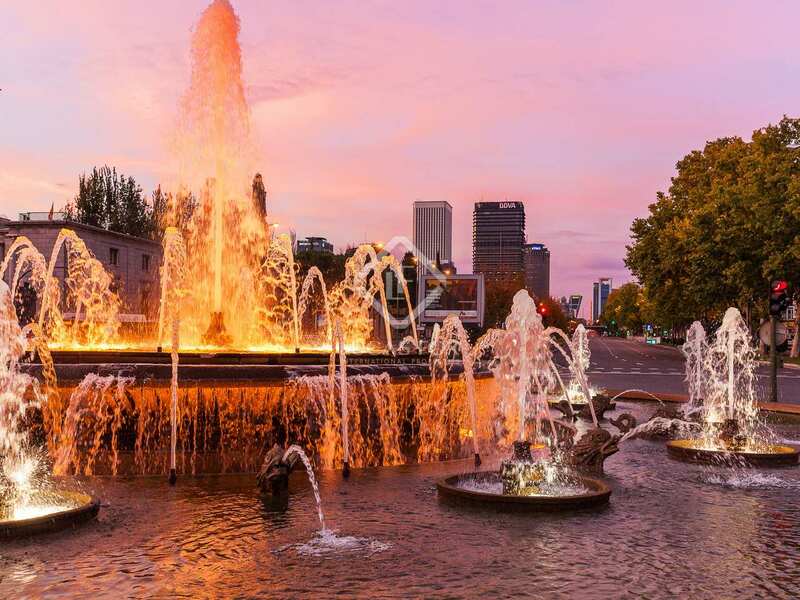 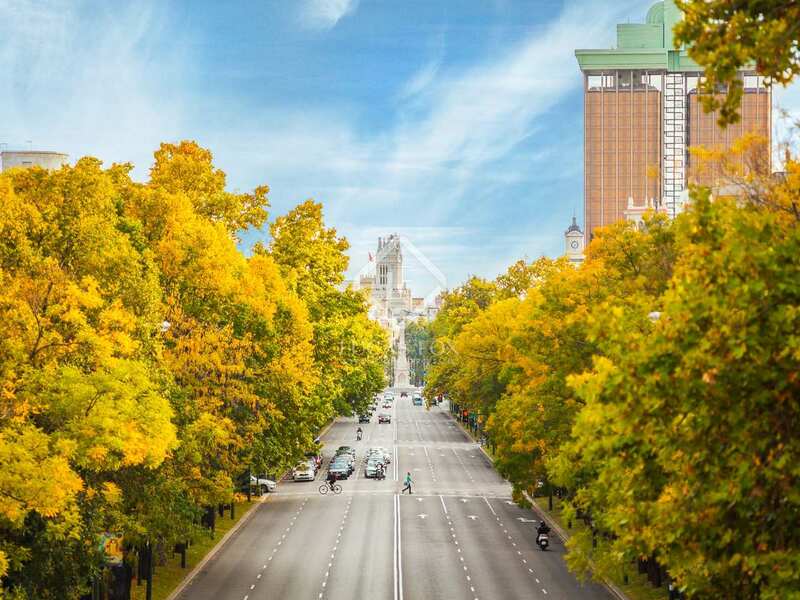 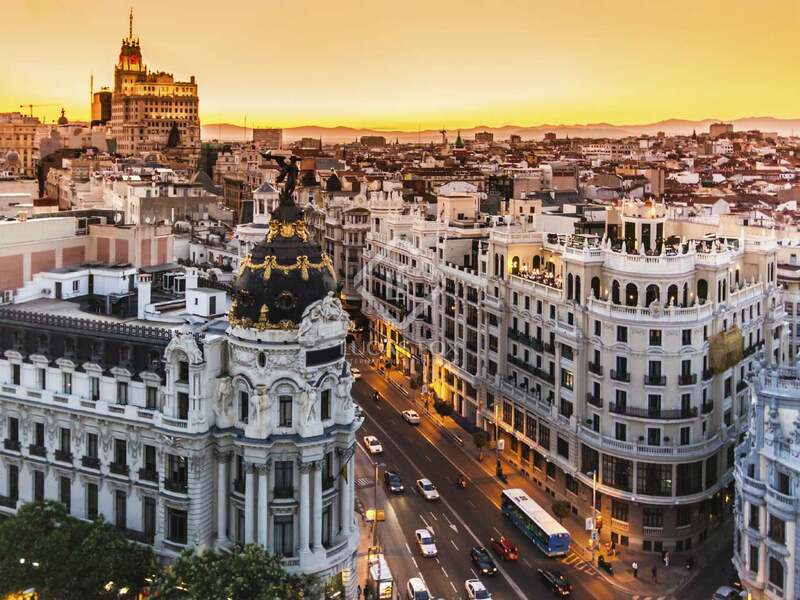 It is surrounded by alternative theatres, flamenco venues, cultural centers and urban bars.